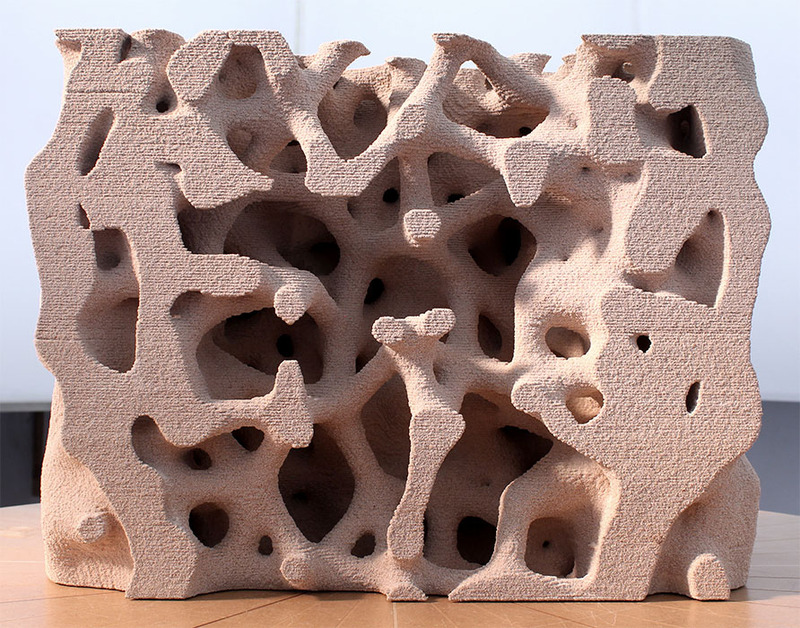 For the research project Additive Manufacturing by the Use of Lightweight Concrete a prototype was commissioned that represents the capabilities of the developed 3D-Printer using lightweight concrete. For most of history building elements in architecture are defined by 3 dimensions: length, height and width. Cause for this is mainly the limited abilities of our design and manufacturing tools - whereas ideas are only limited by imagination. This column concept represents an investigation of the impact on basic architectural elements by the informed use of Computational Design and Additive Manufacturing. In comparison to standard columns, that consist of a solid mass, the cellular concrete column consist of a heterogenous line-like network whose density is differentiated according to a typical load case for column - less material in areas of less load. The idea of a vertical load-bearing element however remains exactly the same, but it's overall constructive performance as well as its visual stimulus increase dramatically - functional and visual aesthics form a inseparable unit. Topology optimisation is used to iteratively reduce mass in areas of low load.